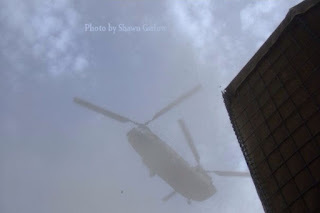 UH-60 Black Hawk Helicopter taking off from Firebase Vegas with wounded soldiers after a resupply helicopter was blown up on the LZ after being hit with an RPG. 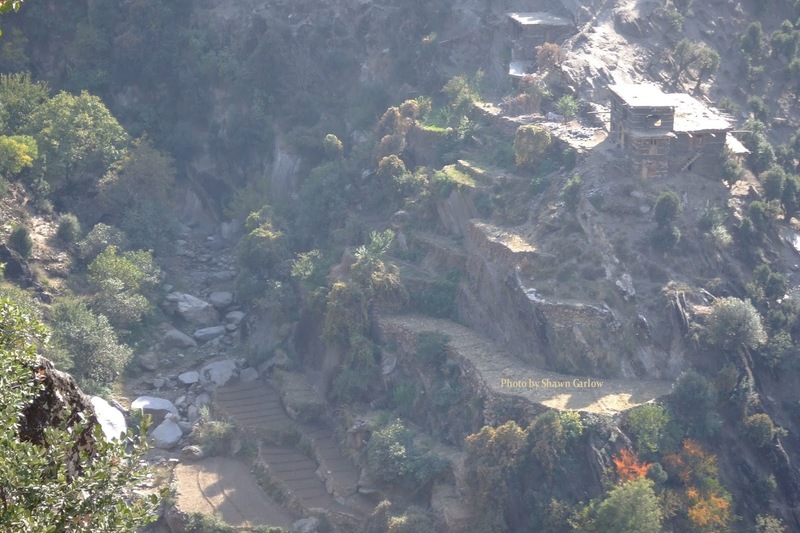 Korengal Valley, Afghanistan. 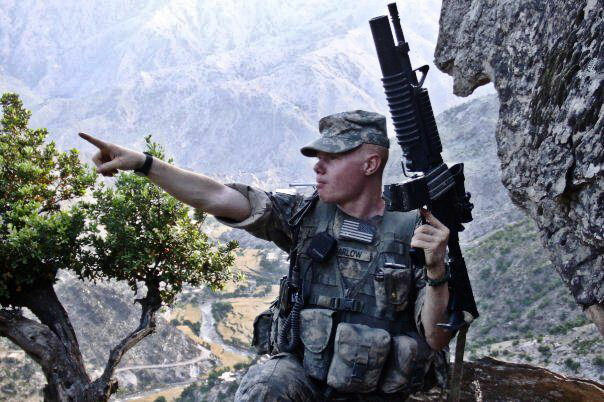 For our fifth installment, let’s take a look at the most commonly encountered sidearms in the War in Afghanistan. A sidearm, usually a handgun, is worn on the body in a holster to allow immediate access and use. 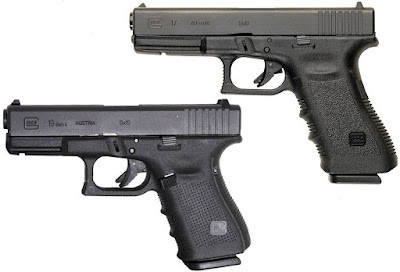 A sidearm is to be used if the primary weapon is not available; if it has run out of ammunition or if it malfunctions. 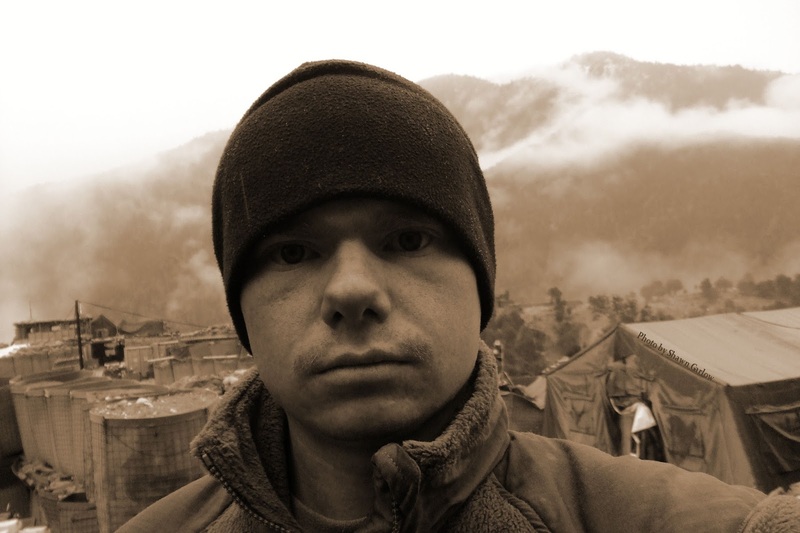 The M9 is the most commonly encountered handgun in Afghanistan in use with the US Military. 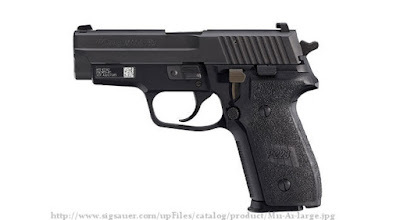 You pretty much can't go anywhere without seeing one, it is basically the M4 of handguns in terms of prevalence. 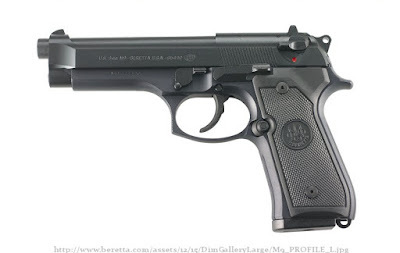 The M9 is a short recoil, semi-automatic, single-action / double-action pistol which uses a 15-round staggered box magazine with a reversible magazine release button that can be positioned for either right- or left-handed shooters. 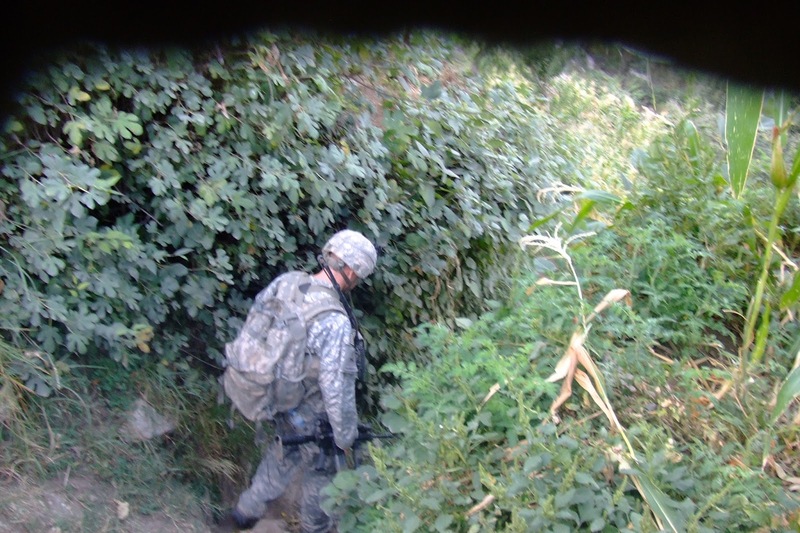 The M9 has been in use with the United States military since 1985. 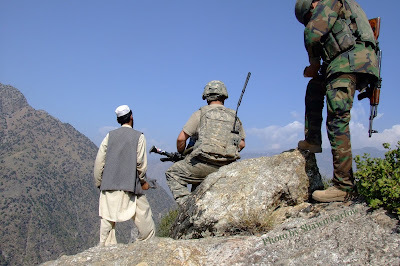 3rd Platoon Viper Co. 1-26 INF soldiers on patrol in the village of Kandalay, Korengal Valley, Afghanistan. The M11(Sig P228) is in use with the US Army, Navy, and Airforce. The M11 pistol is a 9-mm, semiautomatic, magazine-fed, recoil-operated, double-action weapon. The M11 has been in use with the United States military since 1989. Glock pistols can be found in Afghanistan in use with US forces, but in a much more limited quantity than the M9/M11. Most units using Glock pistols fall under the command of USSOCOM. The Glock 17/19 is a 9 mm short recoil–operated, locked-breech semi-automatic pistol that uses a modified Browning cam-lock system adapted from the Hi-Power pistol. 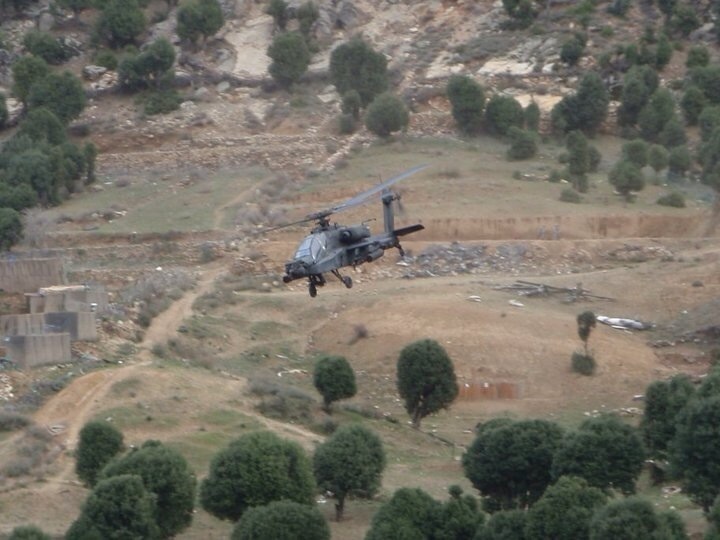 AH-64 Apache attack helicopter scanning the Korengal Valley around Firebase Vegas for enemy activity ahead of CH-47 Chinook resupply helicopters. 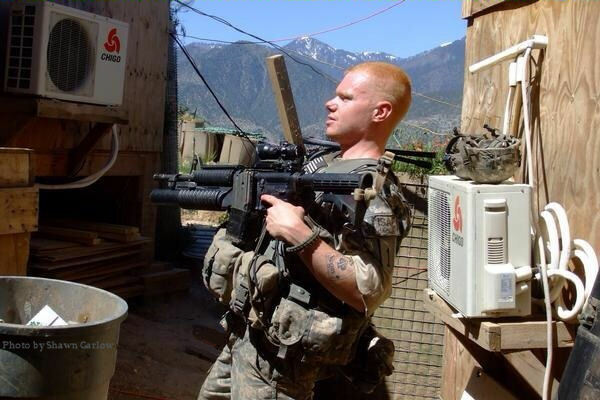 Firebase Vegas, Korengal Valley, Afghanistan. 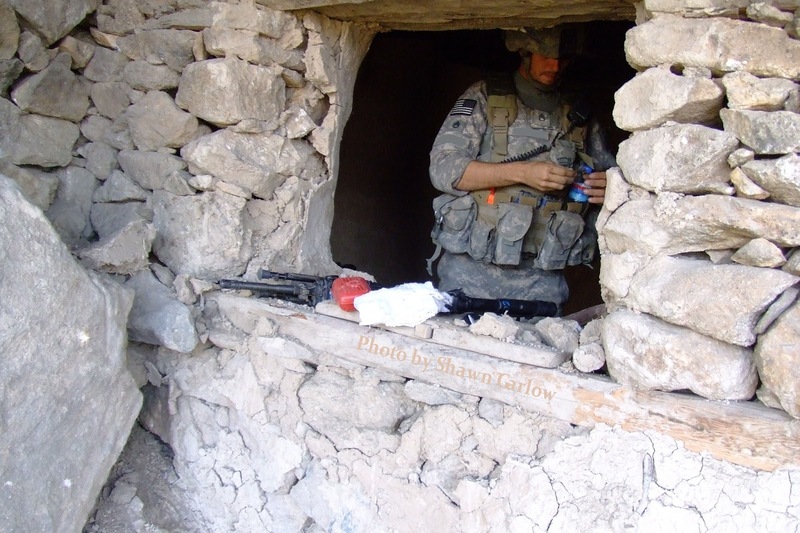 For our fourth installment, let’s take a look at the most commonly encountered individual weapons in Afghanistan; focusing on the most common rifles and carbines of the war. Rifles have longer barrels than carbines allowing for the projectile to reach a higher velocity, range and accuracy. Carbines on the other hand have shorter barrels and often have collapsible (telescoping) stocks. This allows the weapon system to be more compact and better for maneuvering in close quarters battle as well as clearing rooms, trenches, and other tight or enclosed areas. More than any other weapon in the War in Afghanistan the AK (or AK47) is by far the single most commonly encountered. 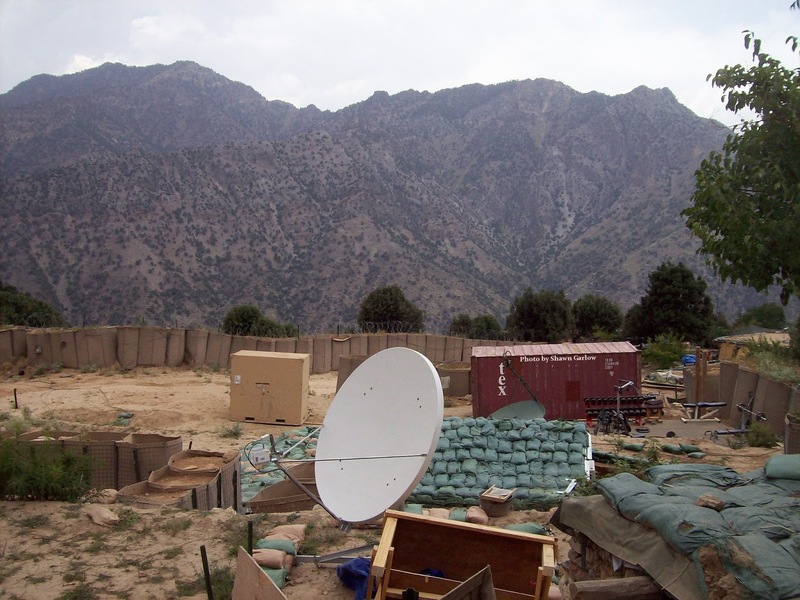 The ammo and weapon itself are plentiful throughout Afghanistan. 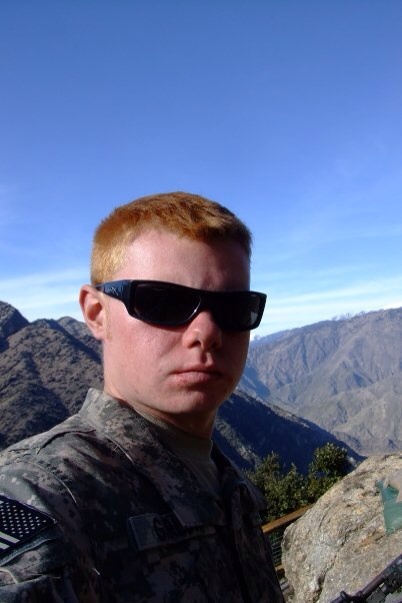 I cannot count the number of times I have been shot at by an AK while in Afghanistan. The wide availability of the AK in Afghanistan is due in part to the US, Pakistan, and other countries governments supplying the Mujahideen and Taliban with them during the Afghan Soviet War and during some time after the war. The AK-47 is a selective-fire (semi-automatic and automatic), gas-operated 7.62×39mm assault rifle, developed in the Soviet Union by Mikhail Kalashnikov. It is officially known in the Soviet documentation as Avtomat Kalashnikova. 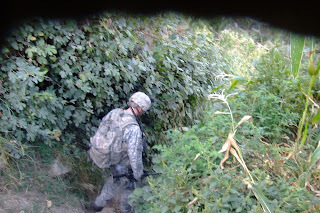 Questioning a local found along the perimeter around Firebase Vegas, Korengal Valley, Afghanistan. 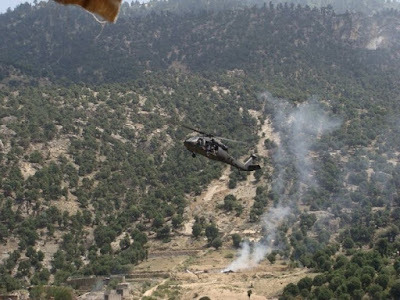 Just as with the AK, the AKM was also supplied by various countries to the Mujahideen and Taliban, and is found in large quantities across Afghanistan. The AKM is an assault rifle using the 7.62×39mm Soviet intermediate cartridge. It is gas operated with a rotating bolt. The AKM is capable of selective fire, firing either single shots or automatic at a cyclic rate of 600 rounds/min. Despite being replaced in the late 1970s by the AK-74 the AKM is still in service in some Russian Army reserve and second-line units and several east European countries. Capacity: 30 and 40-round magazines, 75 and 100-round drum. 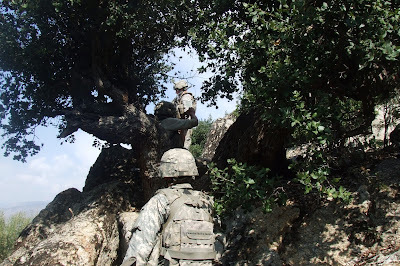 Investigating an area used by AAF forces to fire upon OP Rock with volleys of RPGs and small arms fire. 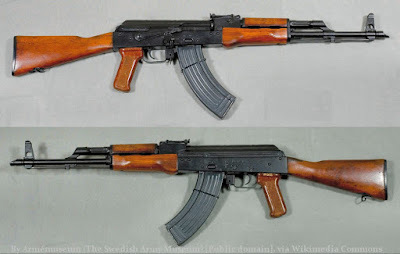 While not as common as the AK and AKM the AK74 can be found occasionally but is not highly prevalent due to a lower availability of it's ammunition. The AK-74 is an adaptation of the 7.62×39mm AKM assault rifle and features several important design improvements. These improvements were primarily the result of converting the rifle to the intermediate-caliber, high velocity 5.45×39mm cartridge. In fact, some early models are reported to have been converted AKMs, re-barreled to 5.45×39mm. Compared to the preceding AKM the AK-74 has better effective range, firing accuracy (a main development goal) and reliability. The AK-74 and AKM share an approximate 50% parts commonality (interchangeable most often are pins, springs and screws). Investigating structure in abandoned village used by AAF fighters apparently as a medical station. The SA Vz.58 can be found in Afghanistan in small numbers. ACF/AAF fighters usually acquire theses through thefts and attacks on government/military forces and government/military compounds. The SA Vz.58 is a gas operated, magazine fed, selective fire weapon. It uses a more or less conventional short stroke gas piston, located above the barrel. The gas piston has its own return spring. The locking system features a linearly moving bolt (breechblock) with a separate tilting locking piece. The breechblock (bolt) is located under the bolt carrier, and the locking piece is hinged to the bolt and located under it. The weapon fires from the closed bolt all times. When the weapon is fired, the gas piston gives a short tap to the bolt carrier. After a free movement of about 22 mm (.9 inch) the bolt carrier swings the locking piece up from the locking recesses in the receiver, and thus unlocks the bolt. From this moment on the bolt group moves back at once, extracting and ejecting the spent case and chambering the fresh cartridge. At the end of the return stroke the bolt stops in the forward most position against the breech face, while the bolt carrier continues to move forward, swinging the locking piece down and into the locking recesses, thus locking the bolt to the receiver. The overall system can be roughly described as a mix between the Walther P-38 pistol and the CzechZB-26 (or British Bren) machine gun locking. The charging handle is attached to the right side of the bolt carrier. The trigger / hammer unit also differs from the most common designs in that it is a striker fired design. The massive cylindrical striker is located at the rear, hollowed part of the bolt, and has its own spring located under the bolt group return spring. The striker has a lug that interacts with the sear and is used to hold the striker in the cocked position. The overall design of the trigger unit is relatively simple and has few moving parts. The safety / fire mode selector switch is located at the right side of the receiver, and has 3 positions for safe, semi, and full automatic fire. On patrol in the village of Kandalay, Korengal Valley, Afghanistan. Chinese copies of the SKS have made their way into Afghanistan over the years. Though not as prevalent as the AK and its variants, the SKS can be found in small numbers in caches as well as occasionally in the hands of dispatched enemy fighters. The SKS is a gas operated, magazine fed, semi-auto weapon. It utilizes a short-stroke gas piston with its own return spring, and a tilting bolt locking, where a bolt tips down to lock onto the floor of the receiver. The charging handle is attached to the right side of the bolt carrier and moves when gun is fired. Receiver is machined from steel. The SKS is fed from the integral 10-round magazine, which could be loaded from the top through the open bolt by loose cartridges or by using special 10-round stripper clips. Stripper clip guides are machined into the front of the bolt carrier. Military-issue SKS carbines are equipped with non-detachable bayonets, that could be folded down and backward when not in use. Soviet, East German and Yugoslavian carbines use blade-shaped bayonets, Chinese Type 56 carbines use spike-shaped bayonets, which are slightly longer than the blade-shaped ones. In general, the SKS is an excellent all-around weapon that offers slightly longer range and better accuracy than an AK, but for modern military use lacks the magazine capacity and selective-fire capabilities. 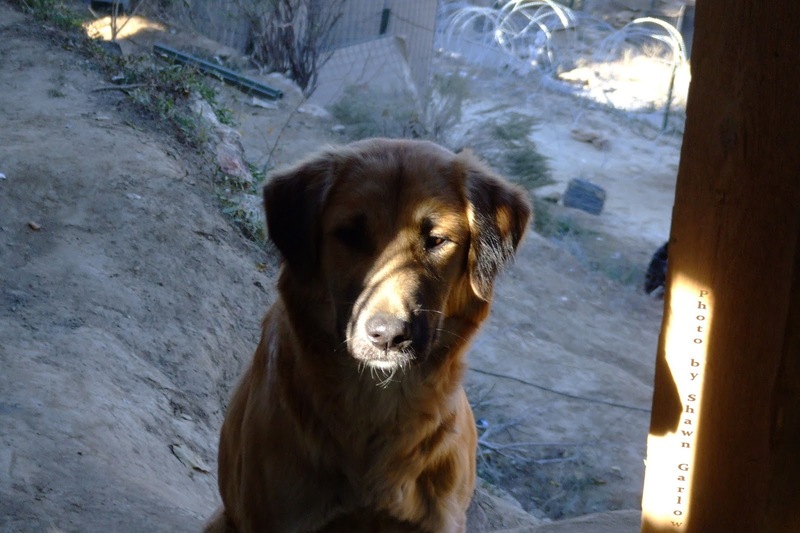 One of our adopted Platoon Dogs "Champ" at a fighting position at Firebase Vegas, Korengal Valley, Afghanistan. The PPSh-41 is a magazine-fed selective fire submachine gun using an open-bolt, blowback action. Made largely of stamped steel, it can be loaded with either a box or drum magazine, and fires the 7.62×25mm Tokarev pistol round. 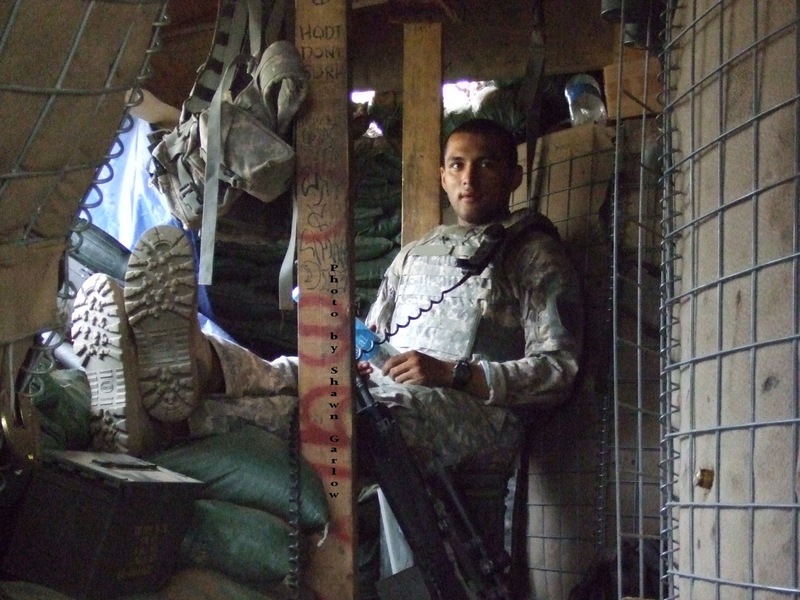 Infantryman manning radio/.50 Cal. position at OP Rock, Firebase Vegas, Korengal Valley, Afghanistan. OP Rock, Firebase Vegas, Korengal Valley, Afghanistan. 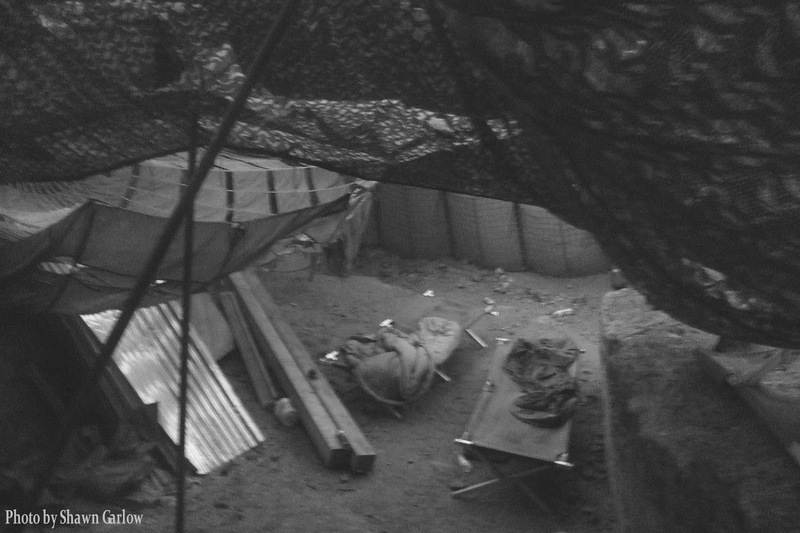 Some of the sleeping quarters at OP Rock, Firebase Vegas, Korengal Valley Afghanistan. By far the most common weapon in Afghanistan next to the AK. If you have deployed to Afghanistan in a combat role, you probably were issued one of these, or at least carried one from time to time. The M4 is light, compact, and if properly maintained very reliable. You may have heard stories, or complaints that the M4 with it's shorter barrel and m855 rounds, is somewhat anemic or ineffective in battle. With good training and proper shot placement with controlled pairs or Mozambique drills (2 in the chest - 1 in the head), the M4 is a very capable and deadly weapon. I carried the M4 many times in Afghanistan and had no problem trusting my life with it. The M4 is a 5.56x45mm, magazine-fed, gas-operated, air-cooled, shoulder-fired weapon. It is designed to fire either semiautomatic or a three-round burst through the use of a selector lever (SAFE, SEMI, and BURST). The M4A1 is fully automatic. The M4-series carbine buttstock has four positions: closed, 1/2 open, 3/4 open, and full open. The M4 carbine becomes the M4 MWS when the M4 rail adapter system is installed on it. Effective Range: 500 m Point, 600 m Area, 3,600 m Maximum range. 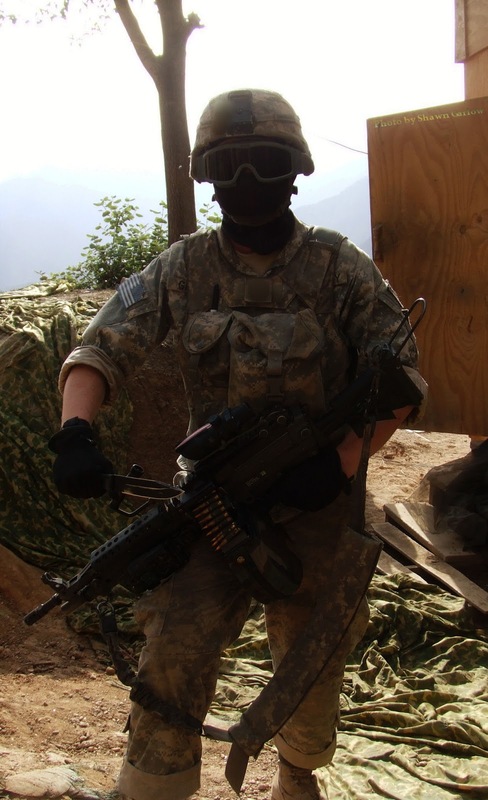 Myself after a patrol with an M4 w/M203 Grenade Launcher, ACOG, and AN/PEQ-15 laser. The M16 has been in service with the United States military since 1963. Initially the rifle was very problematic. This was due to some design/production issues as well as inadequate training and familiarization with service personnel. 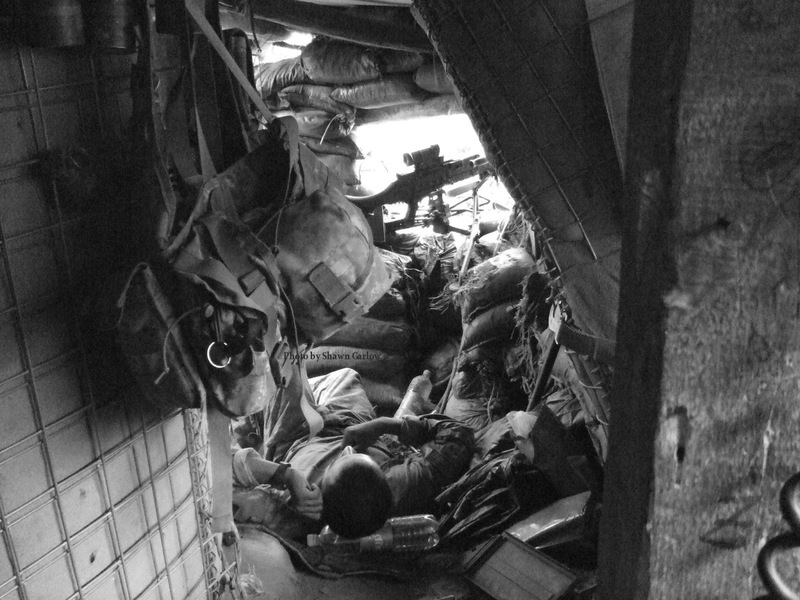 After being fielded in Vietnam the rifle received upgrades based on the problems experienced in combat. The rifle then began gaining popularity with service members. Many were impressed with the wounding capacity of the 5.56mm round in the m193 cartridge. While the M16 had been the standard US service rifle for 40+ years, the M4 has edged it's way in and taken over the role, pushing the M16 out to support and non-infantry service members. The M16 is a 5.56x45mm, magazine fed, gas-operated, air-cooled, semiautomatic or three-round burst, hand-held, shoulder-fired weapon. A1 and A3 variants are full-auto versus 3-round burst. 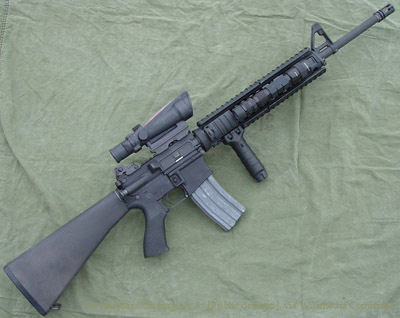 Military issue M16A4s are also equipped with a Knight's Armament Company M5 RAS hand guard, allowing vertical grips, lasers, tactical lights, and other accessories to be attached, coining the designation M16A4 MWS (or Modular Weapon System) in U.S. Army field manuals. Effective Range: 550 m Point, 600 m Area, 3,600 m Maximum range. Picture taken while on patrol in the Korengal Valley, of houses and terraces used for farming in the steep mountains. Though nowhere nearly as common as the M4 and M16, the FN Scar made it's major debut in Afghanistan in April 2009. 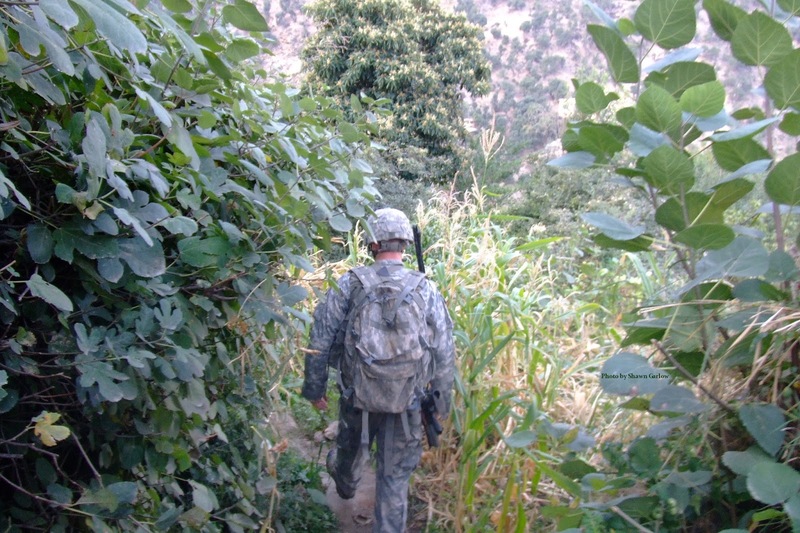 Fielded almost exclusively by US Army Rangers and various other US Special Operations Forces. The SCAR is a shoulder fired, air-cooled, magazine fed, short stroke gas operated, select fire, modular weapon system. The SCAR features a receiver with a continuous, monolithic 12 o’clock rail along with a 3, 6, and 9 o’clock rail on forward portion. The SCAR has the capability of operator-level barrel changes for mission requirements. All complete barrel assemblies are free floating and suppressor compatible when secured to receiver. The buttstock provides adjustable cheek rest, 6-position Length of Pull, and is capable of side folding. SCAR has numerous ambidextrous features. 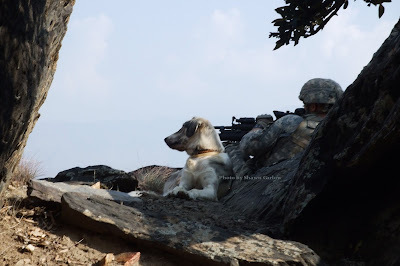 3rd Platoon, Viper Co. 1-26 INF RTO w/ dog overwatching friendly movement on the Korengal Road.